A professional custom label makes all the difference. 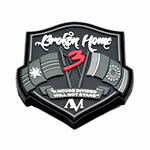 Set yourself apart by designing your Quilt Label with us today. Custom made quilts have hit the mainstream with quilters joining this form of self-expression and artistry at all ages. It is no longer only created by the family matriarch to become a family heirloom; it’s now a thriving business as so many are seeking to have a little homemade comfort of their own. Why Do My Quilts Need Labels? With so many crafters now flooding this sector of the textile industry, it’s important to find a way to set yourself apart. Every individual quilt is a tremendous amount of work. Could you imagine putting all of your efforts into planning a wedding, then not giving people the information on how to get there by not sending an invitation? That’s a little bit like putting the effort into your quilts without letting people know how to get their own! Adding a custom woven label is also the perfect finishing touch. 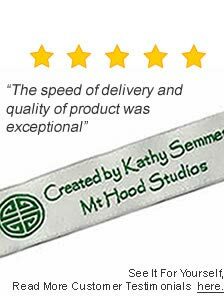 Custom labels add a professional element and a distinction that your quilts are of superb quality. What if I am Just Making Them for my Family and Friends? We have quilters all of the time who know they are not going to make 100 blankets; and that is our minimum quantity for ordering labels. Why do they order anyway? Usually, it’s because they wish to leave a legacy by commemorating the quilter. 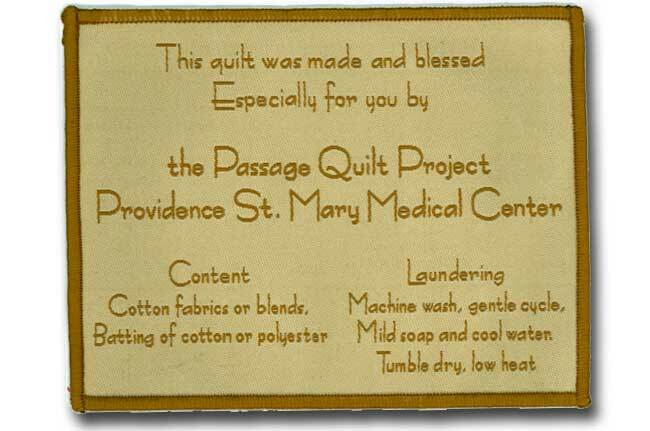 Personal information on the label helps generations to come know the history and the hands that created their Heritage Quilt. Think of all those quilts in your linen closets that, by word of mouth, you have learned were hand made by ‘a great aunt’ or ‘a great grandma’. Imagine if those blankets each had a label on them that actually stayed with the blanket as long as it remained a part of your family for generations to come. It’s actually quite a gift to give the recipient; and one that will carry on for the life of the blanket. Which Type of Label are Right for My Quilts?? 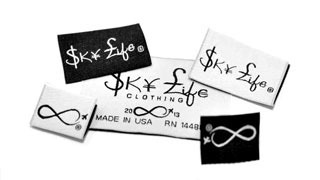 Once you have decided to design and create a custom woven label, you may wonder what your options are. What is the best type for me? This is where we come in and offer our expertise. Damask woven labels are the best option for quilts. 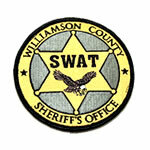 They are a type of woven label made of high quality materials that won’t look out of place. Damask woven labels have a handcrafted look that is ideal for the style of any quilt.Damask woven labels are available in just about every size or color. Multi-colored (up to 8 thread colors) designs lend themselves very well to the look of a quilt. 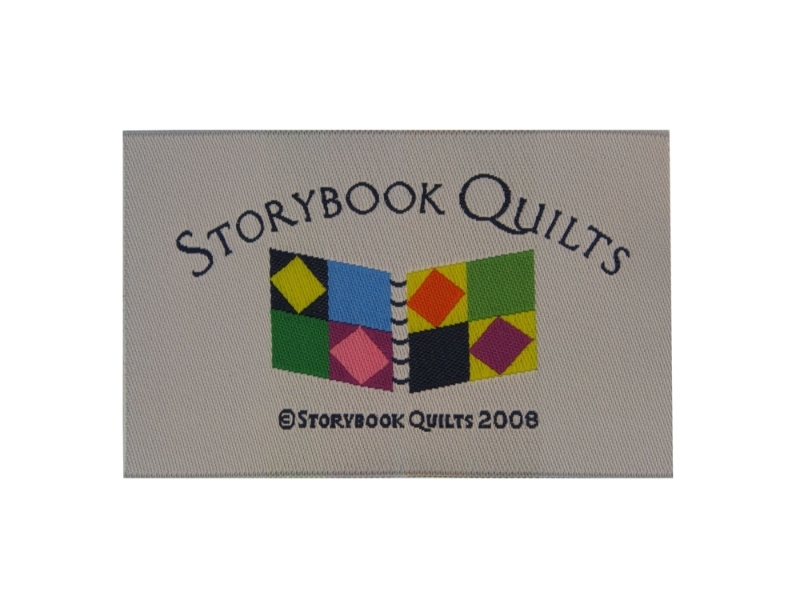 The other item to consider is the size of your quilting labels. 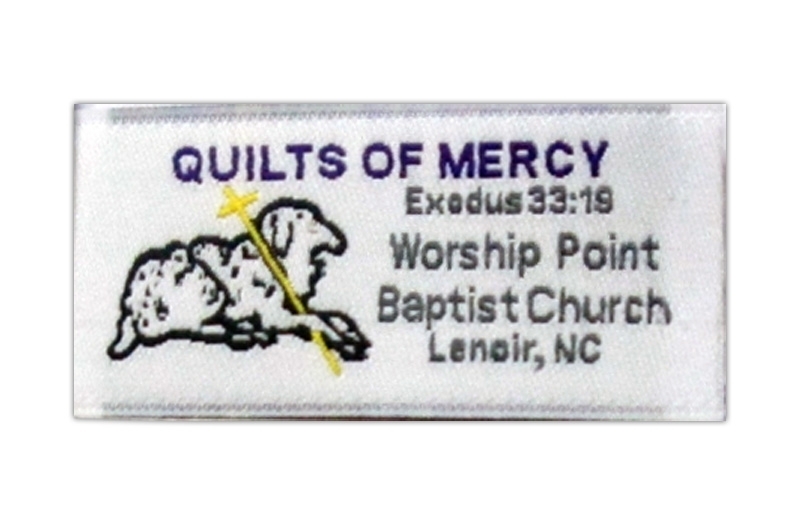 Because quilts are generally larger pieces, you can create a large label that can contain a lot of information. The size will be up to you as it will depend upon what you want on your label. Do I Really Need Professional-Looking Woven Labels? 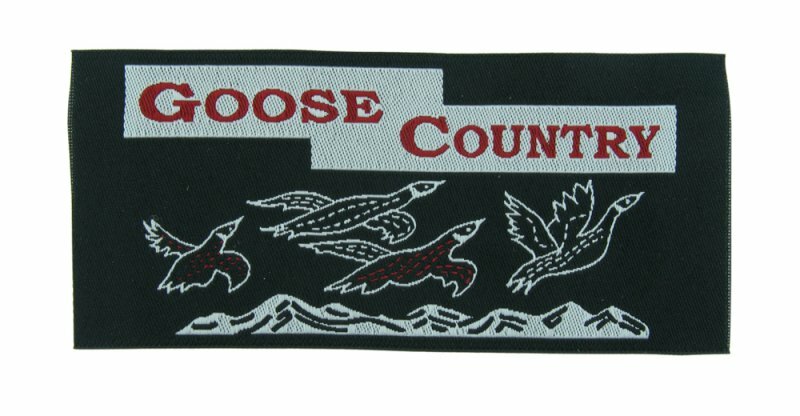 Woven quilt labels truly are like an artist’s signature on a painting. All artists sign their work; it’s time to sign yours! This lasting tribute to the creator is something every homemade item should have. Most quilters don’t stop with quilting. 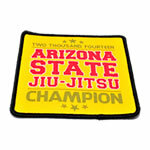 They also tend to create a wide variety of things they enjoy selling, giving or displaying. 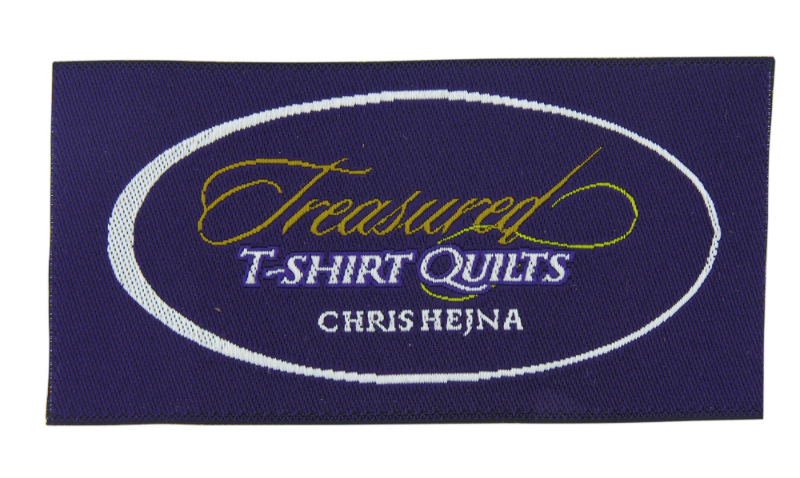 Whatever the project is; a woven label will provide that finishing touch. 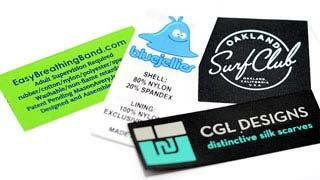 If you would like to read more about custom woven labels, please visit our custom woven labels webpage. There are also galleries full of pictures of our woven damask labels. If you would like to speak with someone about labels, please call us at: (888) 720-2115. 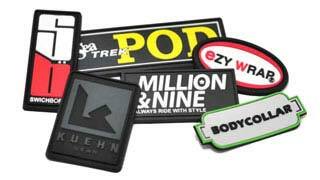 Fill out your quote today and get started on creating your Custom Woven Label. !